In a major national survey, 35 percent of American adults reported that they have experienced bullying behaviors at work and another 15 percent said they have witnessed others being bullied (Workplace Bullying Institute, 2010). Workplace bullying can have serious repercussions for employees and the organization alike. To promote psychologically healthy workplaces and help employers identify, prevent and address these negative workplace behaviors, the American Psychological Association’s Center for Organizational Excellence launched a new resource page on workplace bullying. In a major national survey, 35 percent of American adults reported that they have experienced bullying behaviors at work and another 15 percent said they have witnessed others being bullied (Workplace Bullying Institute, 2010). 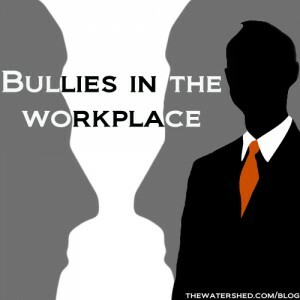 Workplace bullying can have serious repercussions for employees and the organization alike. Severely bullied workers may suffer a variety of health consequences, including depression and anxiety disorders. Bullying can also diminish productivity and morale, and lead to higher absenteeism and turnover. It can even increase employee benefit costs and the risk of legal action.